Creating an estate plan is one of the most important things you will do during the course of your lifetime. A well thought out plan does much more than just design a roadmap for the distribution of your estate assets when you are gone. It should also help protect and grow those assets while you are here and ensure that they provide for loved ones when you are gone. The estate planning attorneys at DeBruyckere Law Offices in Londonderry, New Hampshire understand how important your estate plan is to you and we would be honored to work with you during the creation of your plan. The town that would eventually become Londonderry, New Hampshire was first settled back in 1718 by a group of Scots-Irish, most of whom were originally from Londonderry in the Province of Ulster in the north of Ireland. The group made their way to Boston in the hope that they could live free from religious persecution in the “New World.” At that time, the town was known as “Nutfield” because it was nestled among dense woods full of nut trees. Five years later, in 1722, the town was chartered and given the name Londonderry to remind the settlers of their Irish birthplace. During colonial times, the town of Londonderry was second largest town in the area. Eventually, Derry, Windham and part of Manchester grew out of what was then the town of Londonderry. By the turn of the 19th Century, the town had almost 3,000 residents. Londonderry is located in southwestern Rockingham County, between Manchester to the north, Derry to the east, and Hudson to the south. Londonderry is surrounded by water on the east by Beaver Brook and on the west by Little Cohas Brook and Nesenkeag Brook, all of which flow to the Merrimack River. The most recent census, in 2010, has just fewer than 25,000 people calling Londonderry home. Londonderry is home to numerous businesses, most of which can be found in the northern part of the town near Manchester-Boston Regional Airport (MHT) or in the southeastern part of town near I-93. Stonyfield Farm and Blue Seal Feeds, for example, are headquarter in Londonderry. In addition, the town’s farming heritage remains alive and well as illustrated by places such as Mack’s Apples, Sunnycrest Farm, Elwood Orchards, and Woodmont Orchards. Not surprisingly, residents and visitors alike enjoy apple picking in the fall which has led to the town’s nickname of “Appletown”. The attorneys and staff at DeBruyckere Law Offices are proud to be part of the Londonderry, New Hampshire community. We are also honored to be able to help our friends and neighbors in the community with their estate planning needs. Because estate planning is an ongoing process, we believe we serve our clients best by developing lifelong relationship with them that allow us to be there when life events prompt estate planning changes. We are honored to be part of the community and equally honored to be able to serve the residents who live there. A comprehensive estate plan encompasses a number of inter-related goals and objectives that go beyond the distribution of estate assets at the time of your death. Because of the comprehensive nature of estate planning, it is important that you work with an experienced estate planning attorney who can help ensure that each of your goals is met within your plan. Moreover, an estate plan is not something you create and then forget. On the contrary, for your estate plan to work as intended, it must be reviewed and revised on a regular basis as well as when life events call for it. Your initial estate plan, for instance, will likely focus on the distribution of your limited estate assets. Marriage and parenthood will cause you to add additional objectives to your plan, such as Incapacity planning and probate avoidance. As you mature and your estate grows, you will probably want to add things such as retirement planning and tax avoidance to your estate plan as well. Long-term care and Medicaid planning may also be beneficial to the success of your overall estate plan. With age, you may start to worry about end of life issues which may also prompt you to execute an advance directive and to incorporate funeral planning into your overall estate plan. 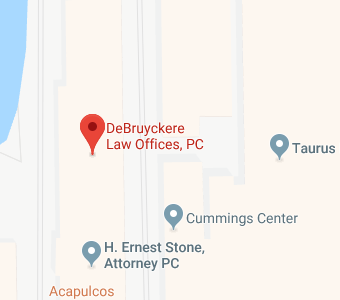 At DeBruyckere Law Offices our goal is to be with you every step of the way along your life’s journey. By developing a life-long relationship with you we ae able to do much more to protect you, your assets and your loved ones. If you have estate planning questions or concerns, or would like to get started creating your estate plan, contact the experienced New Hampshire estate planning attorneys at DeBruyckere Law Offices by calling (603) 894-4141 to schedule your consultation.